Take a look inside for essential guidance for fraud discovery within specific corporate F&A functions, such as disbursement, procurement, payroll, revenue misstatement, inventory, journal entries, and management override. LEONARD W. VONA, CPA, CFE, is CEO of Fraud Auditing, Inc., and a world-renowned authority in fraud investigation. 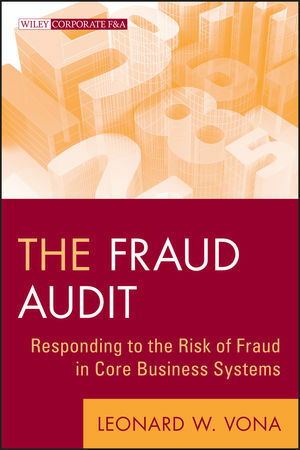 He has provided expert witness testimony in federal and state courts; consulted with corporations around the world; and is the author of Fraud Risk Assessment: Building a Fraud Audit Program, published by Wiley. A financial investigator with more than thirty years of diversified auditing and forensic accounting experience, including a distinguished eighteen-year private industry career, he regularly speaks at audit conferences and developed the Fraud Training Curriculum for the MIS Training Institute, an internationally recognized audit training organization.